At the center of our design protocol is the fundamental issue of safety. No amount of design aesthetics or quality method of manufacturing can overcome a conversion kit that is not structurally sound and safe for the end user. At Prairie Technology, we will not sell a product, nor convert a truck, that we would not feel comfortable driving ourselves. All of our day cab conversion kits and associated conversions have been designed and engineered with safety as the primary guideline. Utilizing high quality composites, resin, hardened aluminum extrusions, and 5052 formed aluminum skin, the kits have been strengthened and reinforced with components designed to withstand significant stress and impact associated with various types of accidents. The end result is a cab of excellent stability and integrity that you can feel safe in. We have a couple of examples involving our conversions that were in accidents and suffered significant cab “trauma” with great success. One of our trucks was built for a vocational application with a dump body. The driver made a mistake and backed up rather than pulling forward as the box was being filled with hot asphalt. The load was dumped on top of the cab resulting in nothing more than some minor cracking to the roof cap which remained structurally intact. 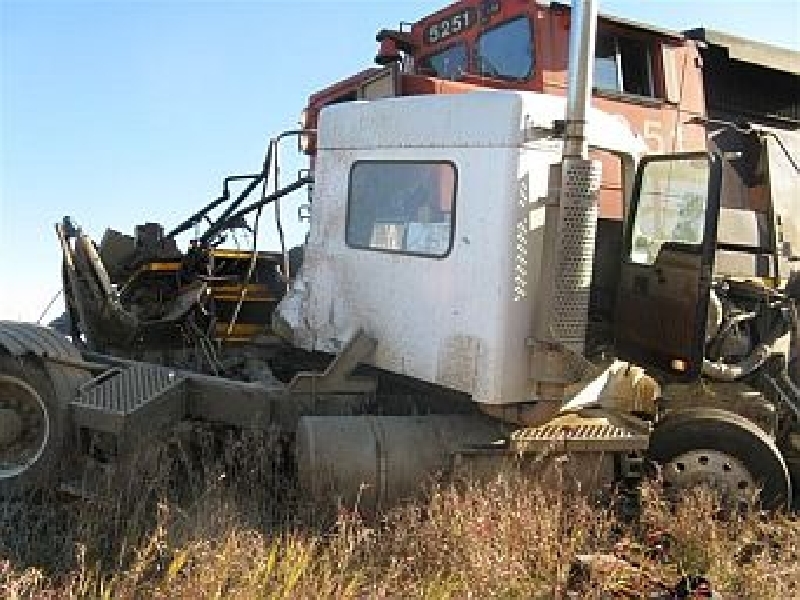 In another more serious case, a driver pulling a fully loaded trailer in Canada was hit broadside at a railroad crossing by a train traveling at or near 50 miles per hour. The cab was pushed more than 1000 feet down the track before it stopped. While the truck was totaled, the cab conversion remained intact with the driver receiving only minor injuries. We have included some dramatic photos of this accident for your review. After looking at our cab attributes and considering the safety built into our kits and conversions, give us a call so we can build a custom day cab for you. You and your family will appreciate it.